Winter can be a long, cold season for any property manager. Between the busyness of the winter holidays, the increased maintenance requests due to dropping temperatures and the plethora of problems that can arise from the inclement weather, this season can be stressful. 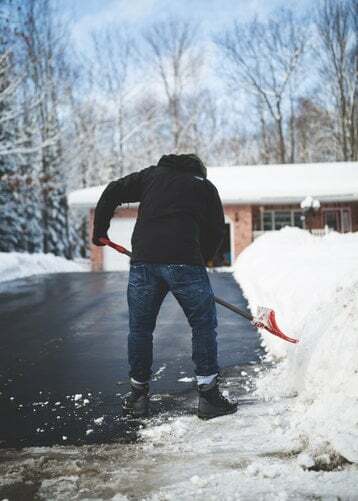 We have already given you some winter maintenance tips to help keep your residential community in optimal condition through the cold winter season. However, in addition to the preventative maintenance measures you should take, we also have suggestions of items to have on hand to ensure that both you and your residents will stay warm and happy this winter. Part of any good inclement weather procedure is to have a plan for snow and ice removal. Removing snow and melting ice on walkways is essential to maintain a safe community for your residents. Injuries caused by slip and falls are problematic for both you and the residents that gets injured. This is why you need to be sure that you have a surplus of ice-melting products on hand to prevent any injuries. A good snow and ice removal plan won’t do you or your residents any good without adequate supplies to execute your plan. Stock up on salt, shovels and anything else you need months in advance so that you won’t be scrambling when the first big snow storm hits. Even though you’ll be prepared for any winter snow storms, it doesn’t mean your residents will be. As a courtesy to your residents, consider having some items available in the leasing office for them to check out and use. Nothing is worse than not having a shovel or ice scraper to be able to dig your car out after the first snow. Having these items available for your residents makes life easier for everyone. Just have a simple sign out sheet with a space available for the resident’s name as well as the item they’re borrowing and they can check out and return these items as needed. 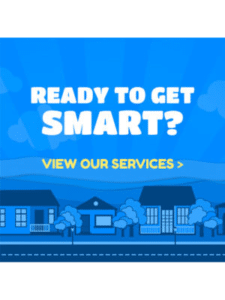 As a property manager, you’re sure to have a list of vendors you can contact when you need some outside help with a maintenance or landscaping problem. Be sure to update this list before the winter season begins. You won’t want to waste any precious time calling in a vendor for snow removal only to find that the vendor you used last year is no longer in business. Same goes for any HVAC contacts and plumbers you have in your contacts as well. When a winter maintenance emergency arises, it’s better to deal with it quickly. This can only be accomplished with an updated list of vendors. It’s a good business practice to have easy access to and be familiar with the insurance coverage you have on your residential community. This is especially true for certain regions of the United States, mainly those that are affected by winter weather. Pay special attention to the sections that cover structural issues that are subject to weather damage. Although it may be tempting to save a few dollars on your premiums by going with the minimum coverage, we suggest opting for coverage that offers replacement costs of structural items rather than fair market value. Often times, the fair market value of structures declines over time and you’ll find yourself paying large amounts out of pocket to replace damaged structures. Although fires aren’t often associated with winter weather, data shows that the amount of fires increase during the winter season. Several factors contribute to this increase including: holiday cooking, wood fires, candles and space heaters. The dry winter air means that any fires that start will spread rather quickly. Make sure that each unit in your community has a working fire extinguisher. Go a step further and educate your residents about fire safety and how to properly use the fire extinguishers so that fires can be extinguished safely and quickly. Emergency kits should be an essential part of any residential community. Many families don’t think about having emergency supplies on hand until it’s too late. Consider sending out a notice to your residents explaining the importance of having an emergency kit as well as a list of suggested contents. Keep in mind that if your community is in an area that experiences particularly cold winter temperatures, include items that can help residents deal with freezing temperatures in the event that pipes freeze and/or heating units break. Some additional contents we suggest include: flashlights, batteries, non-perishable food blankets, bottled water and a hairdryer (for frozen pipes). You might even consider pre-assembling some emergency kits and offering them for sale to your residents. We know your to-do list never ends. Help yourself make the day to day tasks of your job easier by planning ahead of time and being prepared.